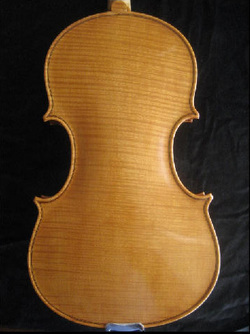 Walt Senkow (1914-1999) began making violins in New York and later pursued his craft in Detroit; finally moving to Dallas in the early 1950s. 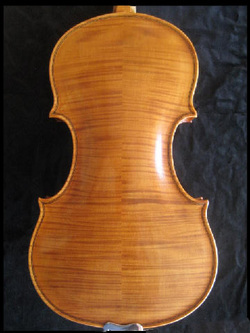 For more than 60 years he studied and pursued the best wood curing, workmanship, and varnish to achieve a rich sound. 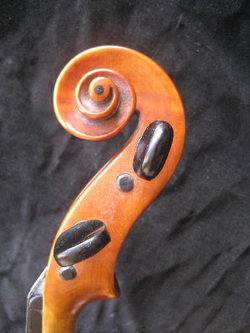 Mr. Senkow's trademark comprises an ebony insert around the endpin and another in the scroll. 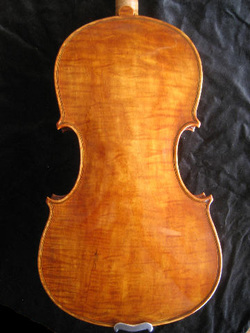 He named some of his violins after his wife and children. We have the Senkow instruments shown below for sale in our shop. Contact us for more information. 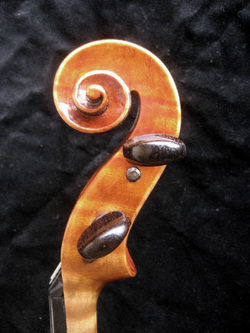 Additional information about Walt Senkow and more of his violins for sale can be seen at his son Danny's website, here. 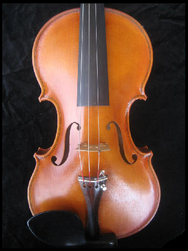 4/4 violin made by Walt Senkow in 1964 in Dallas, Texas. 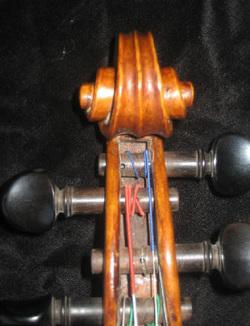 This instrument produces excellent sound across all strings. 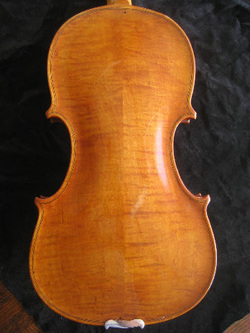 It has an original orange-colored linseed oil varnish and a maker's signature label inside. $6,000. 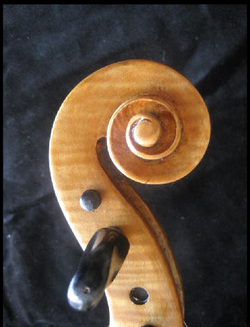 4/4 violin made by Walt Senkow in 1967 in Dallas, Texas. 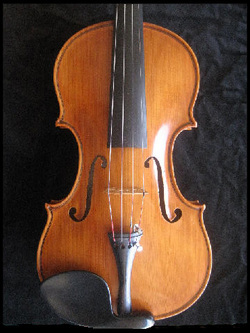 This instrument demonstrates exceptional workmanship and sound and has a very nice reddish-amber linseed oil varnish and a maker's signature label inside. It has never been repaired in any way. $6,500. 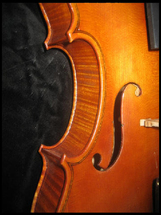 4/4 violin made by Walt Senkow in 1972 in Dallas, Texas. 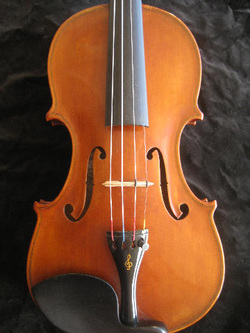 This instrument is very good sounding and in very good condition; not a scratch. 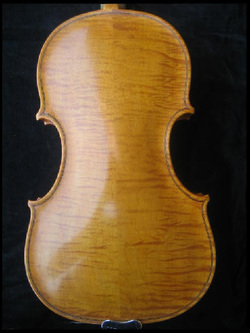 It was finished in a very nice light amber linseed oil varnish. Signature label. $4,500. 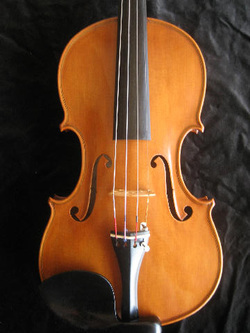 4/4 violin made by Walt Senkow in 1972 in Dallas, Texas. 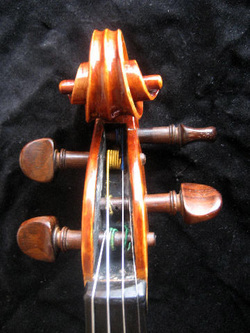 This instrument exceptional sound and has a medium reddish original linseed oil varnish. $7,000. 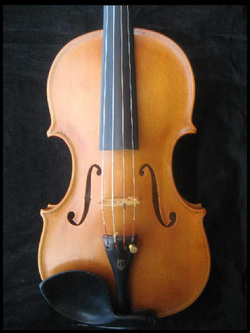 4/4 Violin made by Walt Senkow in 1985 in Dallas, Texas. Beautiful original linseed oil varnish. $5,900. 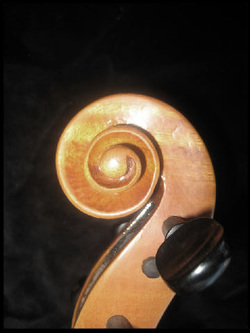 4/4 Violin made by Walt Senkow in 1985 in Dallas, Texas; named the "Ann Senkow" in honor of his wife, as inscribed inside. 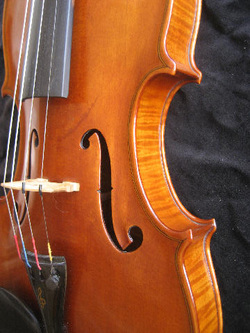 The violin has beautiful workmanship and excellent sound. It was finished with a dark reddish linseed oil varnish. No repairs noted. $7,000.